(There is, mother, a place in the world called Paris. Je voudrais vivre pour écrire. Non penser à autre chose qu’à écrire. Je ne prétend [sic] pas l’amour ni l’argent. Je ne veux pas penser, ni construire décemment ma vie. Je veux de la paix: lire, étudier, gagner un peu d’argent pour m’independiser [sic] de ma famille, et écrire. Bold and assertive in tone, these words are less of a confession than a daring conviction, a resolution, a literary plan. Circumstantial? Purposely stylized? Perhaps the more essential question here is: Why did the Argentinian-born poet turn to a foreign language that, until then, she’d almost exclusively employed just to read French literature? The younger of two daughters to Jewish immigrants who settled in Argentina during the thirties, Flora Alejandra Pizarnik was born on April 29, 1936, in Avellaneda—a port city located within the greater Buenos Aires metropolitan area. Her parents, Ela Pizarnik and Rejzla Bromiker de Pizarnik, had left Równe, then part of Poland, two years earlier to flee the rising wave of anti-Semitism across Eastern Europe. The family spoke Yiddish and Spanish at home, and the two sisters, Myriam and Alejandra, attended a progressive Jewish school. Alejandra grew up among these two languages, along with the accepted Latin American notion of French—of France—as inseparable from high culture, especially for those with fine-art or literary aspirations. Tengo que ir a Francia. Recordarlo. Recordar que debo quererlo mucho. Recordar que es lo único que me queda por querer, en este mundo ancho y alto. Not many today would disagree that this “obligation” resulted from a condition, partially elective, partially brought on by historical pressures. A quick glance at the biographies of some of the great European and North and Latin American writers of the past century reveals, more often than not, a single beacon, a common destination—one unrivaled city, sought after for its bohemian cultural scene. By the early twenties, with literary modernism at its apogee, Paris was the creative center of the western world, with Ezra Pound, James Joyce, and César Vallejo, to name but three, among the many foreign authors who took up residence there. The list is extensive. Some even abandoned their mother tongue and made French their writing language, as is the case of Vallejo’s compatriot César Moro, or, in the late thirties, the Romanian philosopher Emil Cioran—one of the finest prose writers of the twentieth century in French. Paris lured the rich and the poor, the established and the aspiring, the singular and uninspired. Within a few decades, the City of Light had become home to a large community of expatriate authors and artists from around the globe. The French capital and, to some extent, the genius of the French language, came to be equated with a rite of passage—the grand yet tangible myth. In the aftermath of World War II, the heart of Paris welcomed those Latin American writers associated with the Boom and Post-Boom (Julio Cortázar, Mario Vargas Llosa, Severo Sarduy), as well as many nomadic writer-diplomats hailing from the other side of the Atlantic (Miguel Ángel Asturias, Octavio Paz, Alejo Carpentier). By this time, a surrealist poetic current had spread across the New World; in Argentina, it circulated among a second generation of avant-garde Francophile artists and poets, including the Spanish painter Juan Batlle Planas (in whose atelier the young Alejandra Pizarnik briefly studied after dropping out of the University of Buenos Aires), the poet-painter Enrique Molina, and the poet Olga Orozco—all of whom were friends with Pizarnik by the late fifties. Increasingly obsessed with her craft and her literary image, and encouraged by close friends, Pizarnik, who had relatives in France, became part of the draw of Paris. On March 11, 1960, without professional obligations or any real responsibilities, she embarked on the transatlantic Laenec. Not for a movement. Not for any theoretical school, but on a self-imposed literary exile. She departed for a city that was not the cultural museum it is today (many chose to live there with moderate or meager means). She left for Paris—so big and vibrant and beautiful. In the first few months, however, Pizarnik lived on the margins of the dreamed city. She arrived in the western suburbs, initially lodging in Châtenay-Malabry with one of her paternal uncles; then in Neuilly-sur-Seine with another one of her father’s brothers. Both were Jewish immigrants who had been forced to escape their native Poland three decades prior. Disappointed and dissatisfied, Alejandra knew she hadn’t come to Paris just to duplicate her ordinary life in Buenos Aires. Despite this situation, Pizarnik was not deterred. A poetic vision sustained her, and rapidly, through a kaleidoscope of literary references and landmarks, Alejandra embraced a quotidian existence inextricable from literature: under the iron footbridge where La Maga, muse of Cortázar’s best-known novel, Hopscotch, and the author himself kept running into each other a decade earlier; at the cafés on the boulevards Saint-Germain-des-Prés and Saint-Michel; or by the Seine where booksellers of used and antiquarian books plied their trade. She walked the streets, seeing and hearing them, loving what she witnessed. Here, during the next four years, she met surrealist figures (Georges Bataille, Jean Arp, Max Ernst), befriended and translated some of the most notable French writers of her day (André Pieyre de Mandiargues, Henri Michaux, Yves Bonnefoy), wrote, and, most significantly, read and reread (in Spanish and French) a wide range of authors across genres and traditions. Pain, late night perambulations, and poverty—Pizarnik believed these were the roots of lasting art. She gambled her health and well-being against her poetry and the mysteries of language. Yet she longed for family and friends in Buenos Aires. Her native Buenos Aires represented her immature self—as Pizarnik relates in a diary entry on January 11, 1961. This weighed on her; however, she chose not to retreat, despite financial constraints, self-doubt, periods of debilitating mental health, and a fear of going mad. Rimbaud’s drunken boat, a zone of intense tobacco and the prodigious disorder of books and papers, a nomad’s shop where a samovar dominated, and that special atmosphere that grows in the places where silence also grows, like an invading honeysuckle, nocturnal, permanent; the silence and a static, vibrant concentration, where the voice of Alejandra was queen. This shattering image of self is traceable to a sentence that Pizarnik originally conceived in French while in Paris: “J’aurai aimé me voir dans une autre nuit, hors du délire d’être deux chemins du miroir” (“How I would have loved to see myself in some other night, beyond this madness of being two sides of the mirror”), found in “Paroles du vent” (“Words of the wind”), one of the texts collected in The Galloping Hour, an anthology of her poetry soon to be published by New Directions. Alejandra’s breakthrough Árbol de Diana and her experiments in French are contemporaneous—dating mostly from ‘62, while she lived in that small space not far from the Latin Quarter. She arranged the latter writings under the generic heading “poemas franceses”—an inscription scrawled on a page torn from a copy of Chemins de surréalisme (Paths of surrealism) by the Franco-American art critic and historian Patrick Waldberg. When Pizarnik returned to Buenos Aires, she almost never wrote in French again. Some of the French texts, however, were not forgotten, as a diary entry dated June 2, 1967, attests: “Libro: ver poemas viejos. Phrases. Traducir poemas en prosa franceses.” (“Book: see old poems. Phrases. Translate French prose poems.”) “Libro” may have referred to Extracción de la piedra de locura (Extracting the Stone of Madness), her fifth poetry collection, published in Buenos Aires the following year. Interestingly, lines from two of its poems are also traceable to passages now in The Galloping Hour. In fact, nearly a dozen Spanish texts included in books from Árbol de Diana to El infierno musical (A Musical Hell, 1971), and the posthumous Textos de sombra y ultimos poemas (Shadow texts and last poems, 1982) contain passages that Pizarnik first wrote in French and later translated into Spanish. Written by hand on loose papers probably without publication in mind, these French texts explore many of Pizarnik’s deepest obsessions: the limitation of language, silence, the body, night, the nature of intimacy, madness, death. She was obsessed with the in-between, with the lyrical subject between cultures and between languages; she explored both sides of the mirror. These obsessions continued to haunt Pizarnik for the next decade, until her tragic death on September 25, 1972. When Alejandra committed suicide by overdosing on Seconal at the age of thirty-six, in her Buenos Aires apartment on Montevideo Street, she left to posterity one of the most unusual bodies of work in Latin American literature. It is a body that includes a significant number of unpublished manuscripts, typescripts, and notebooks, containing poems, prose poems, fiction, diaries, fragments, reading notes, and drawings. Like that of the great Fernando Pessoa (a key figure in European modernism recently published by New Directions, whose posthumous works are still being discovered at the National Library of Portugal), the Pizarnik archive contains hidden and scattered treasures. There are scores of creative texts, visual works, and biographical information available to anyone willing to make the journey to Princeton. I first visited the archive in the spring of ’09. I was then residing in Lisbon, reading Pessoa intensively. For the next nine years I would return to read Pizarnik: Pizarnik at work, the untold Pizarnik. (Like Pessoa, the author Alejandra Pizarnik quoted other works in various notebooks.) Alejandra’s atelier of work is nowhere more present than in the papers—in the life of the papers. And now here, in the present of this Galloping Hour. 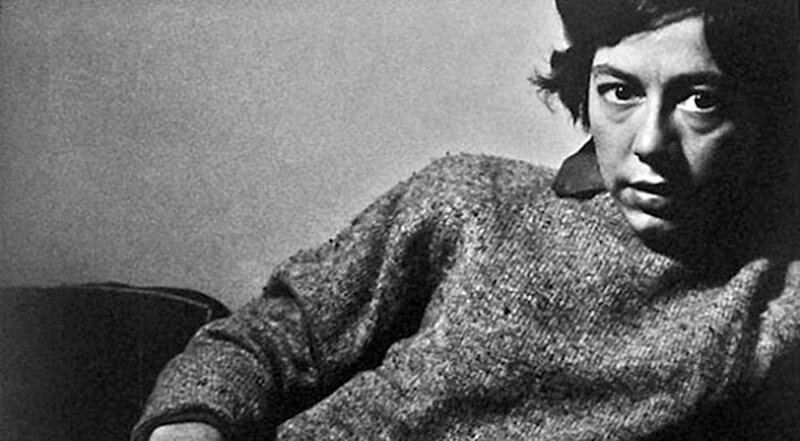 Patricio Ferrari has translated Fernando Pessoa, António Osório, and Alejandra Pizarnik. A polyglot, he is a poet, translator, and editor, resides in New York City, and teaches at Rutgers University. The following has been adapted and excerpted from the introduction to The Galloping Hour, published by New Directions.